The EUR/USD currency pair keeps falling steadily. 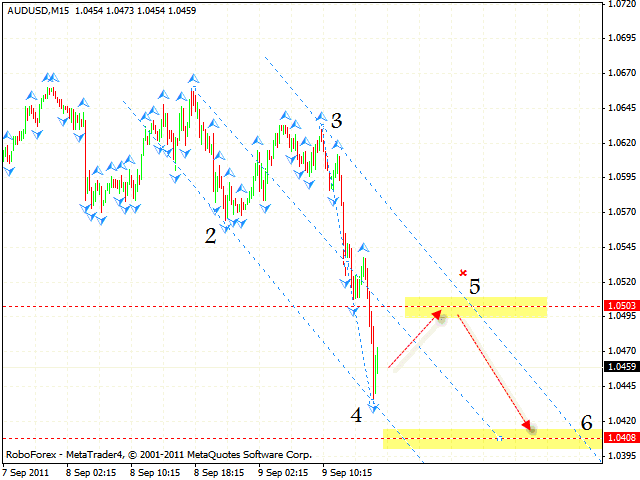 Currently there is some potential for a descending pattern with the target in the area of 1.3550 to be formed. We should expect the price to test the descending channel’s upper border in the area of 1.3810, where one can try to sell the pair with the tight stop. In case of the EUR/GBP currency pair we can see that “head & shoulders” reversal pattern with the target in the area of 0.8160 has been almost completed. 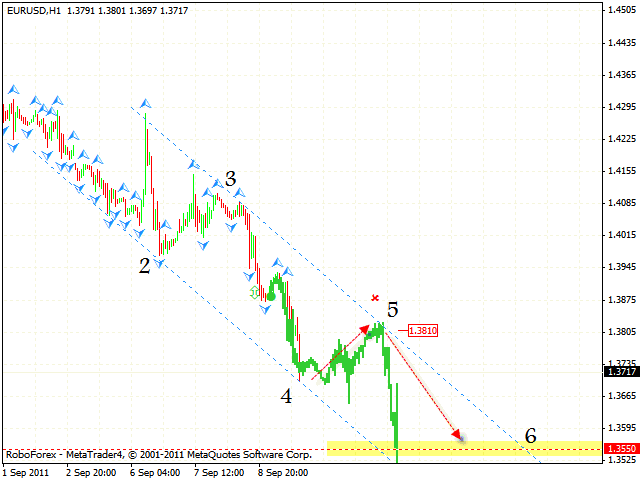 One can continue opening short positions, the stop must be place above 0.8780. 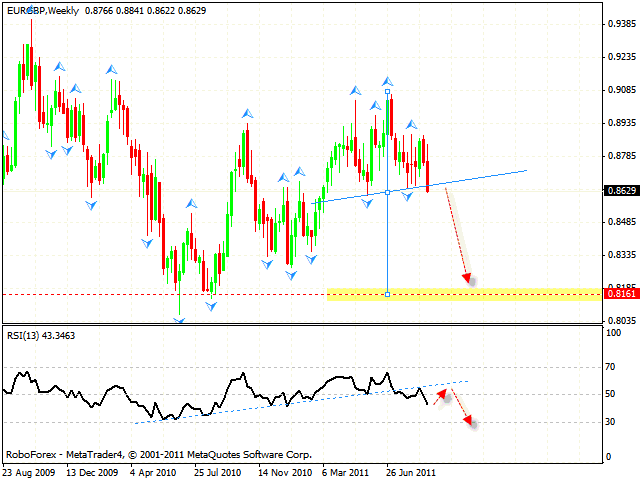 The price breaking the trend’s descending line at the RSI is an additional signal of the price decline. Canadian Dollar is moving inside the rising channel, the target of the growth is the area of 1.0015. One can try to buy the pair at the level of 0.9960. 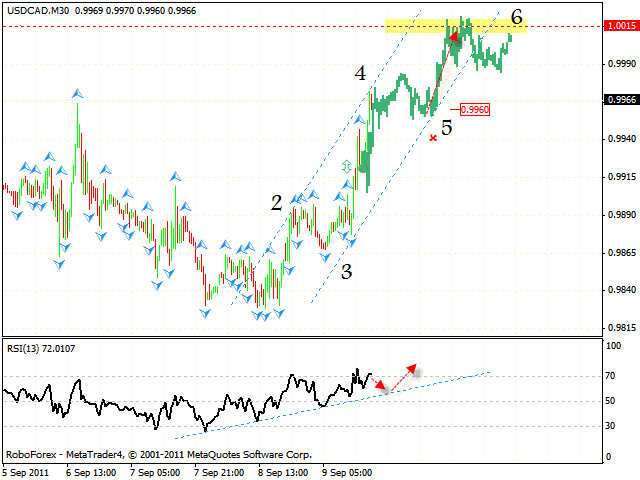 The price testing the trend’s rising line at the RSI will be an additional signal to buy the USD/CAD currency pair. But if the price leaves the rising channel, this case scenario will be cancelled. At the M15 chart of the AUD/USD currency pair we can see the formation of the descending pattern with the target in the area of 1.0408. Currently we should expect the price to be corrected to the channel’s upper border in the area of 1.0503, where one can try to sell the pair with the tight stop. But if the price breaks the level of 1.0530, this case scenario will be cancelled. Gold has tested the area where the rising channel has been broken, we should expect the price to start moving downwards. The target of the fall is the area of 1713, one can try to sell the instrument with the tight atop. 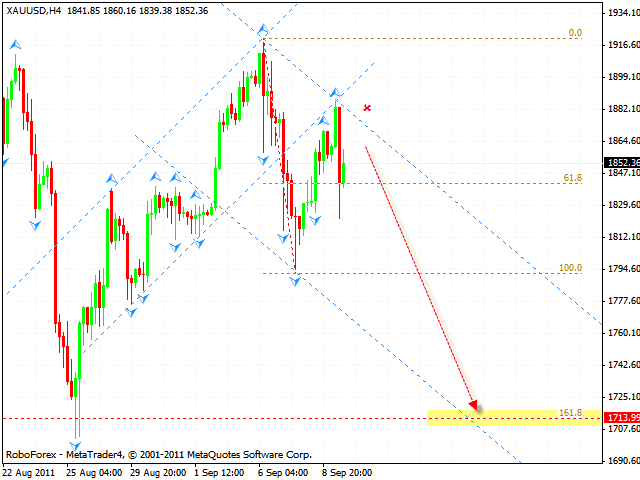 But if the price breaks the descending channel’s upper border and leaves it, this case scenario will be cancelled.